SAN FRANCISCO (AP) — Disguised Russian agents on Twitter rushed to deflect scandalous news about Donald Trump just before last year’s presidential election while straining to refocus criticism on the mainstream media and Hillary Clinton’s campaign, according to an Associated Press analysis of since-deleted accounts. Within an hour of the Post’s story, WikiLeaks unleashed its own bombshell about hacked email from Podesta’s account, a release the Russian accounts had been foreshadowing for days. “WikiLeaks’ Assange signals release of documents before U.S. election,” tweeted both “SpecialAffair” and “ScreamyMonkey” within a second of each other on Oct. 4. “SpecialAffair,” an account describing itself as a “Political junkie in action,” had 11,255 followers at the time. “ScreamyMonkey,” self-described as a “First frontier.News aggregator,” had 13,224. Both accounts were created within three days of each other in late December 2014. 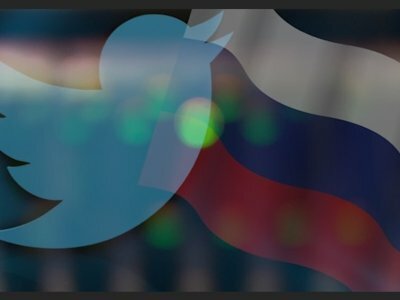 Twitter handed over the handles of 2,752 accounts it identified as coming from Russia’s Internet Research Agency to congressional investigators ahead of the social media giant’s Oct. 31 and Nov. 1 appearances on Capitol Hill. It said 9 percent of the tweets were election-related but didn’t make the tweets themselves public. That makes the archive the AP obtained the most comprehensive historical picture so far of Russian activity on Twitter in the crucial run-up to the Nov. 8, 2016, vote. Twitter policy requires developers who archive its material to delete tweets from suspended accounts as soon as reasonably possible, unless doing so would violate the law or Twitter grants an exception. It’s possible the existence of the deleted tweets in the archive obtained by the AP runs afoul of those rules. The Russian accounts didn’t just spring into action at the last minute. They were similarly active at earlier points in the campaign. When Trump reversed himself on a lie about Barack Obama’s birthplace on Sept. 17, declaring abruptly that Obama “was born in the United States, period,” several Russian accounts chimed in to echo Trump’s subsequent false claim that it was Clinton who had started the birther controversy. On Sept. 15, Clinton returned to the campaign trail following a bout with pneumonia that caused her to stumble at a 9/11 memorial service. The Russian account “Pamela_Moore13” noted that her intro music was “I Feel Good” by James Brown — then observed that “James Brown died of pneumonia,” a line that was repeated at least 11 times by Russian accounts, including by “Jenn_Abrams,” which had 59,868 followers at the time. Barbara Ortutay reported from New York. AP Data Journalist Larry Fenn contributed from New York.